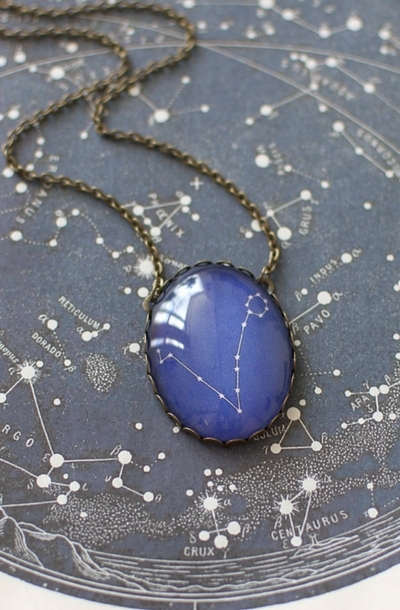 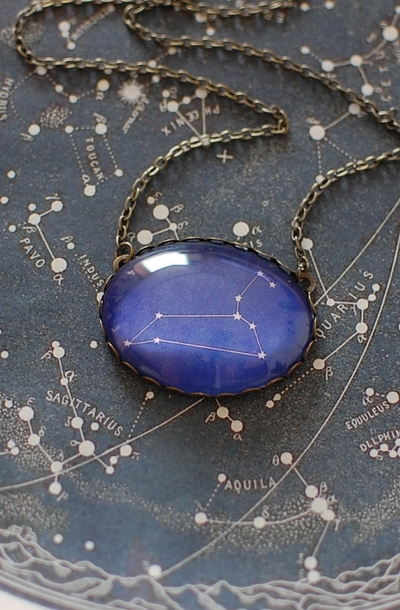 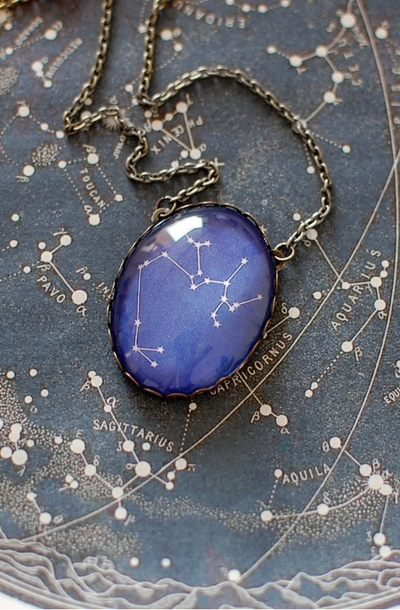 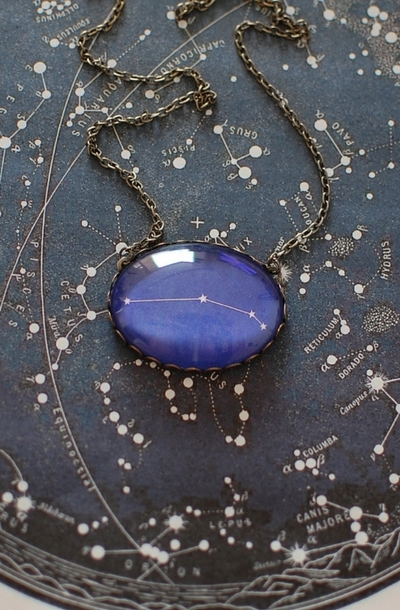 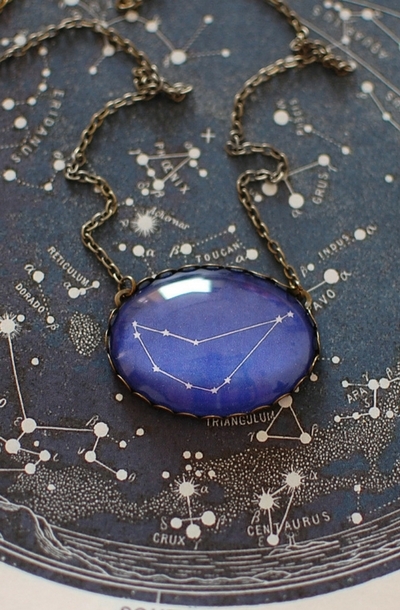 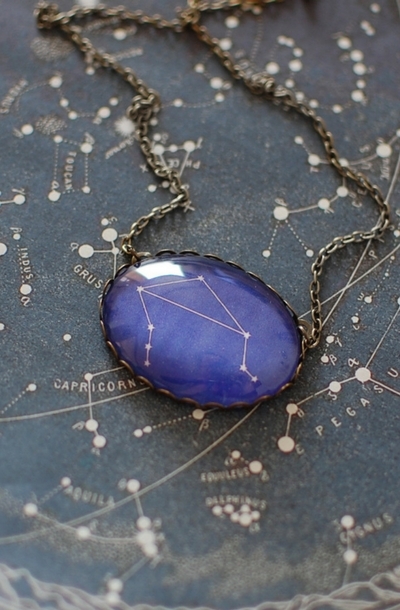 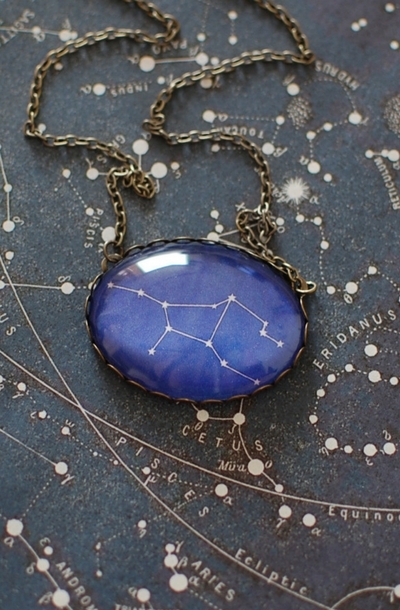 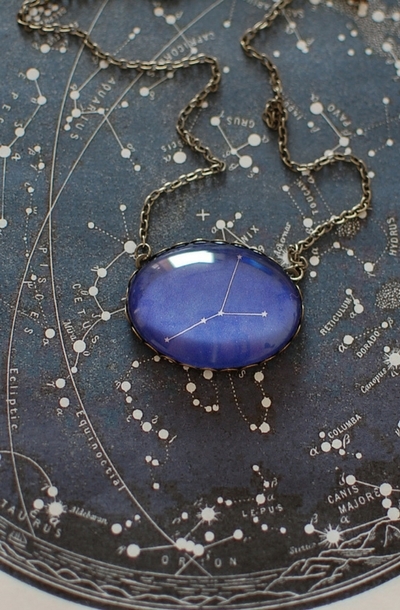 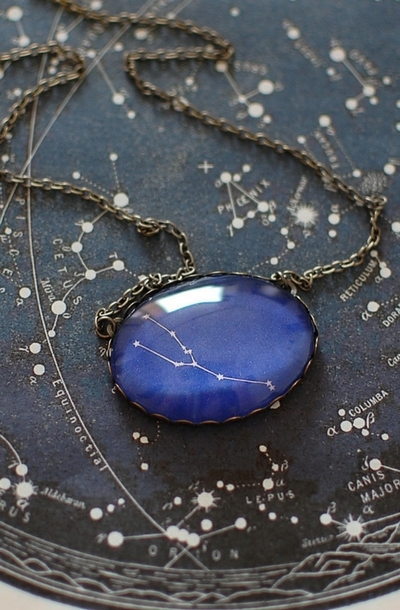 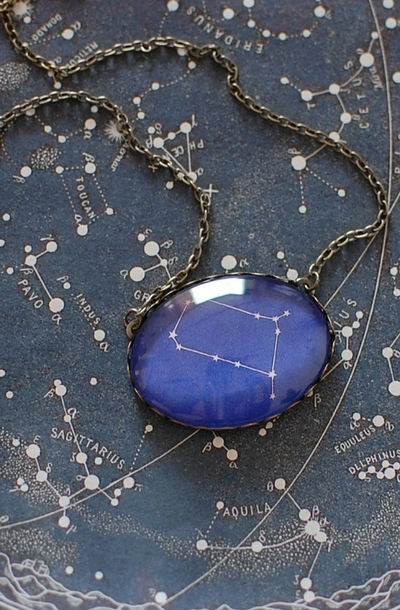 These Constellation Necklace are made from bronze tone metal and a glass dome. 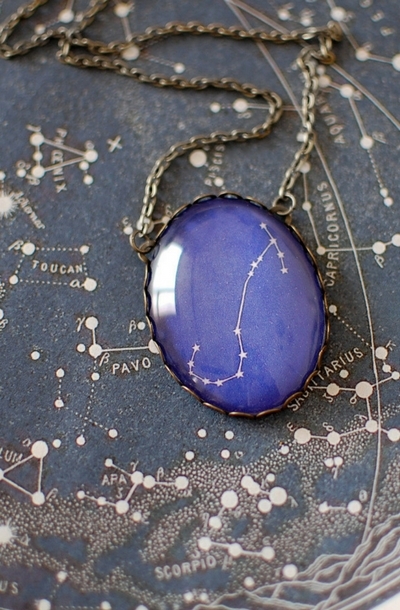 he cameo pendant is 1" x 1 1/2” (3x4 cm), the chain is available at various lengths 16"-30" (41-76cm). 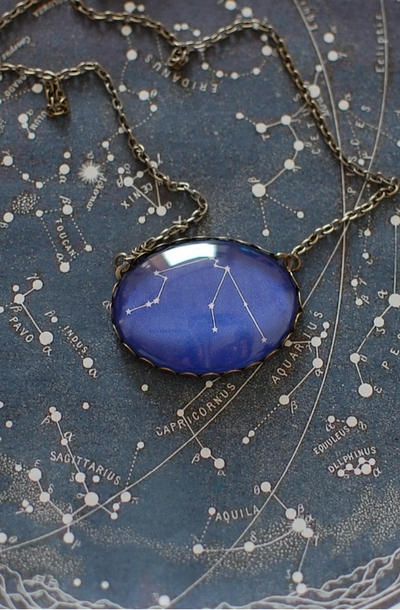 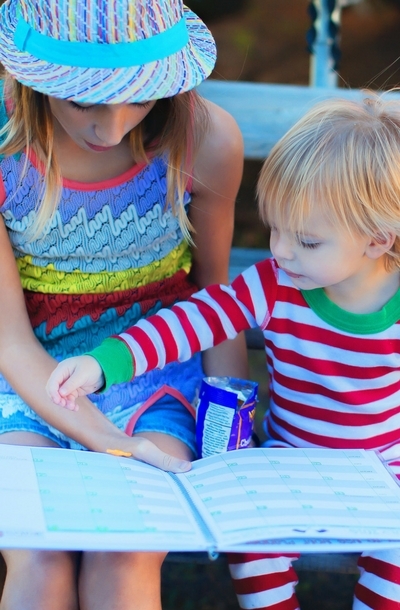 The item will come in a gift box - perfect for gift giving and safekeeping.